How Much Do You Know About Paintball? Let’s Find Out! As we discussed in our previous blog, there are many levels of paintball fans. Some of them watch us because they’ll seek out any extreme sport in Houston. Others have played the game casually a few times, while some even have aspirations to go pro. What we’re saying is that the many levels of fan translates to a wide range of knowledge about the sport. 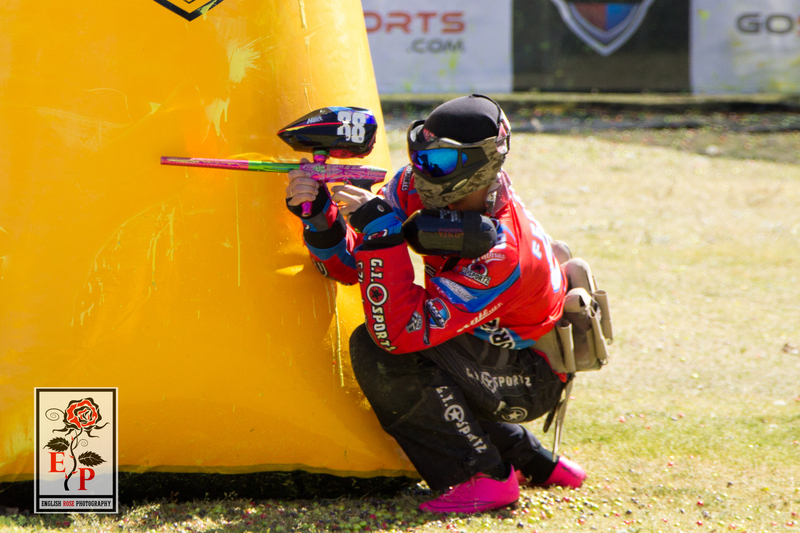 This week we’re going to take a look at the three primary pieces of equipment used in paintball for those of you who haven’t spent much (or any) time on the field. The paintball marker, also called a paintball gun, is the piece of equipment most associated with paintball. Markers use compressed air or CO2 (carbon dioxide) in order to force paintballs from the barrel of the marker in an attempt to tag an opponent. Paintball markers have hoppers that store the paintballs. Paintballs, sometimes called pellets, are the ammunition in the game. Paintballs are filled with gelatin (typically polyethylene glycol) and dye in order to mark an opponent and indicate a hit. High-quality paintballs are manufactured to be completely spherical and to have a super-thin shell so that it will break as easily as possible when it comes into contact with an opponent. Paintballs in the past were oil-based, but today most of them are water-based in an effort to be more environmentally friendly. While the gelatin and dye in paintballs is non-toxic, it’s the speed at which they travel that necessitates the need for a mask or goggles. Paintballs are traveling at approximately 175 miles per hour, more than enough to do permanent damage to an eyeball. Always wear your mask! There you go, the three most common piece of equipment you’ll see in paintball. If you ‘d like to see where the Houston Heat will be next, check out our schedule here.